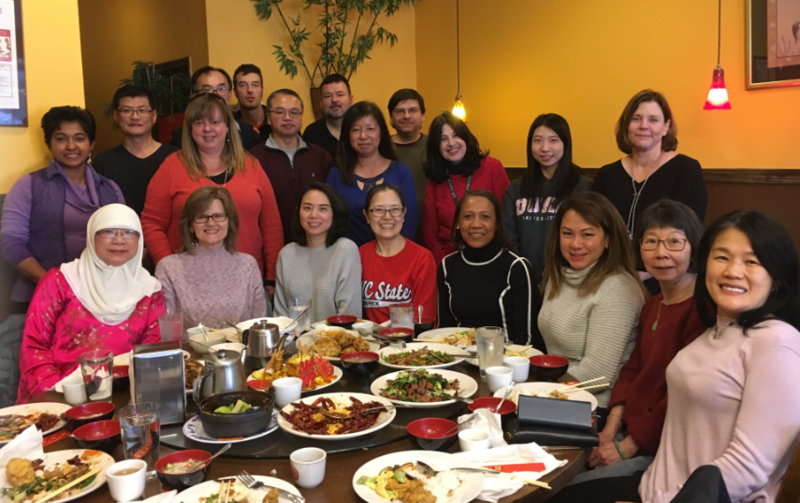 Our SASIC members enjoying lunch together while celebrating Chinese New Year. For over 20 years, our SAS International Connections Employee Inclusion Group (or as we like to call it - “SASIC”) has been celebrating the array of different cultures represented here at SAS. Over the years, SASIC’s celebrations have ranged from language classes to making traditional crafts, but there’s one activity that seems to really bring people together: sharing a good meal. That’s why SASIC decided to celebrate Chinese New Year, which is a festival celebrating the beginning of a new year on the traditional Chinese calendar, in the most delicious way possible - by coming together to share a Chinese meal. While everyone was gathered around the table, members exchanged stories about their Chinese New Year traditions and memories. Believe it or not, our SASIC members had a hard time deciding where to go celebrate because there are so many delicious places to eat near our offices. 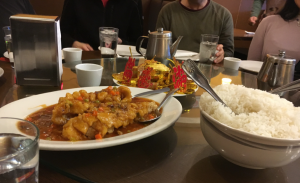 We heard through the grapevine that there was a list of top Chinese restaurants floating around, so we asked LanChien Hsueh, a member of SASIC’s Steering Committee, to share their best restaurant recommendations, and boy did she deliver! Looking for a great family-style restaurant? Look no further! SASIC shares that while C&T Wok’s small space can get a bit crowded, it only adds to the authenticity of the experience. If you like Peking duck and seafood dishes (like Hongkong-style lobster), this is the place for you! If you’re a spicy food fan, check out Szechuan Garden! SASIC recommends their Tri Pepper Chicken and braised pork. Located close to SAS’ HQ campus, Cheng Du 7 is one of SASIC’s favorite lunch spots! Not sure where to start? Try the Tea Duck or some of their spicy dishes. For the freshest dim sum in town (and homemade noodles!) give East Coast Asian Bistro in Durham a try. SASIC recommends Taipei 101 for Chinese and Taiwanese food that’s delicious, affordable, and authentic. From Peking duck to spicy Szechuan offerings, SASIC tells us that Ginger Cuisine is a great spot to try. Plus, they sometimes offer homemade dumplings. Yum! It’s on the pricier side, but their food presentation and dining environment is said to be top-notch. Bonus perk – G.58 has an extensive wine list. SASIC says that Good Harvest’s hidden gem is their fish pots – with combinations like lobster & Dungeness crab, you can’t go wrong. With nearly 100 Szechwan dishes (as well as some American-style Chinese food options), this Cary spot has something for everyone! We can’t wait to try out some of SASIC’s tasty recommendations! In the meantime, we want to hear from you - how are you celebrating the Year of the Pig? Let us know in the comments! 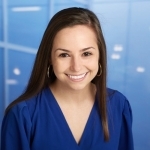 Alyssa is a year round HR Communications Intern supporting HR internal and external communications. 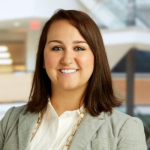 She's currently a senior at NC State University, pursuing a degree in Business Administration with concentrations in Marketing and Human Resources. Yum...So cool! I can't wait to try all the great Chinese food picks! I'm hungry just thinking about it. Thanks for sharing. Happy Chinese New Year!